Shelling sistah Susan S. took a road trip with her husband to Manasota Key to do some SHARK’S TEETHing at Blind Pass Park in Englewood, Florida. I couldn’t wait to see what she brought back to Sanibel. The first thing she told me “We found 250 SHARK’S TEETH!” then added “… and a guy on the beach told me these were a couple of STINGRAY MOUTH PLATES”. Well, I guess they are. They are only about a half inch long and you can tell what they are by the little grooves. Doesn’t it boggle the mind how someone figured out what these little pieces are when they are mixed in with sand, pebbles and shell crush? They can be up to 2 million years old! Look at all the SHARK’S TEETH spread out. It’s so much more obvious that these are fossil teeth… instead of figuring out a fossil mouth plate. It’s always fun to learn about other types of beach bling that washes up on the shore and always fun to hang out with someone who shares the same love for it. 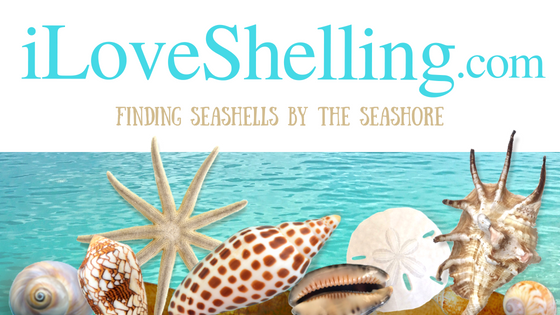 Thanks Susan and the rest of my shelling family out there! Who else could get excited about a STINGRAY MOUTH PLATE? I could! I could! What a cool find! Thanks for the virtual road trip! I love it! My fingers are itching to get back up there!! I was just looking at the sting ray mouth plates I have found here on our beaches. They are not fossilized but they are whole (I think). I found a lot of fossilized ones too when I went up to Manasota! Love that place! The broken megalodon teeth are called fraglodons. Be careful. Sharksteeth can be addicting. I’m visiting family up in PA & a bunch of sharksteeth came falling out of my coat pocket from when I wore it from last winter. Glad everybody found some goodies. Love living here (Manasota Beach) and finding sharks teeth and fossils every day but when it comes to shelling well, there’s no place like Sanibel. I just wanted to say that apparently some sharks in the order “ground sharks” shed approximately 25,000 teeth in a lifetime! The teeth grow in rows and the older ones are constantly being replaced my new ones. I guess if we had that arrangement we would never need a dentist! Okay so Judy – I’m out on Blind Pass almost every afternoon. You’ll have to wave hello. I love the smiles in the last pic. I have to tell you, I got a giggle–my daughter and I were at our local park looking in the pond and she found some snail shells. She was excited at first and then exclaimed, “But mom, these are no where near as pretty as the one’s on Sanibel!! !” I would have to agree, kiddo, I would have to agree. Thats a nice photo of you Pam! And I can read your blog perfectly on my MAC. Hope all is well with you. I am catching up on my blogging today. I’m going to go read some of your posts this last week and see what’s been rolling onto the shores of Sanibel. Very cool! I was actually at Manasota Keys this morning, and I found some Sting Ray Mouth Plates, and a bunch of sharks teeth! The waves were crazy today!! Oh, and very cool about the Puffer Fish Plate in Bonita! I live in Bonita, and frequent the beaches. Never find too much though! Do you find this geods in the water or there is a specific place where you can find them?